It’s time for a day of fun in the sun at Change Church! 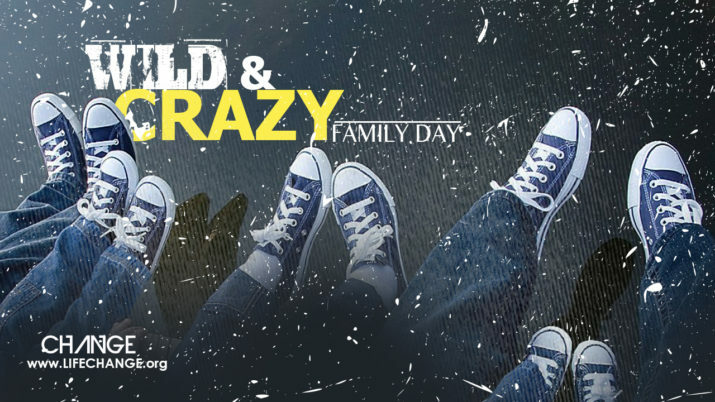 Join us on Saturday, May 18, 2019 for our Wild & Crazy Family Day! We will have games, food, workshops, and more for the whole family! Kids grab your parents, parents grab your kids, and meet us at the Ewing Campus at 10am. There’s no fee, but let us know you’re coming!